It has been 11 years since President Bill Clinton launched the Clinton Global Initiative, an endeavor that has inspired leaders from business, government, and civil society to take specific and measurable action on some of the most pressing challenges of our time. In the days ahead, President Clinton and Chelsea will celebrate the CGI community's incredible impact--and bring a historic chapter to a close--when they host the final CGI Annual Meeting, September 19-21, in New York City. A 2014 analysis of CGI commitments reveals that the most successful Commitments to Action involve partnerships. Since 2005, members of the CGI community have worked together to leverage each organization's strengths and expertise to achieve their shared goals for social impact. For example, CGI members have been working across sectors to achieve collective impact in Detroit, where the housing market faces the challenge of mass vacancies and widespread rehabilitation needs. Although there is plenty of affordable housing, it is difficult for local residents to obtain mortgages that pay for both the cost of the home and its rehabilitation costs. Through CGI, the Community Reinvestment Fund and a diverse group of nearly 20 partners--including Detroit banks, non-profit organizations, major foundations, and more--committed to launch the Detroit Home Mortgage Initiative, an effort that will ultimately provide $40 million in second mortgages to fund rehabilitation activities for 1,000 Detroit homebuyers over the next three years. CGI members have created and scaled innovative investment models--pioneering methods that have become the new standard. For example, at CGI's inception, the Grameen Foundation launched its Growth Guarantees Program, part of its long-term strategy to provide microfinance institutions with financing to enable them to serve more of the world's poor. Since 2005, the Grameen Foundation's Growth Guarantees and co-guarantees have generated more than $176 million in financing to support over 1 million micro-entrepreneurs. And, in an effort to create a common language for impact investors, the Global Impact Investing Network created a standardized reporting framework for impact investments, which address social and environmental challenges, while generating profit. The resulting "Impact Reporting and Investment Standards" has since become a credible set of metrics that will continue to shape impact investing in the future. The unique challenges facing girls and women worldwide are at the forefront of CGI programming and are integrated across all our focus areas. Whether a commitment targets technology, health care, the environment, or education--members are encouraged to integrate the perspective of girls and women into both the design and implementation of their commitments. 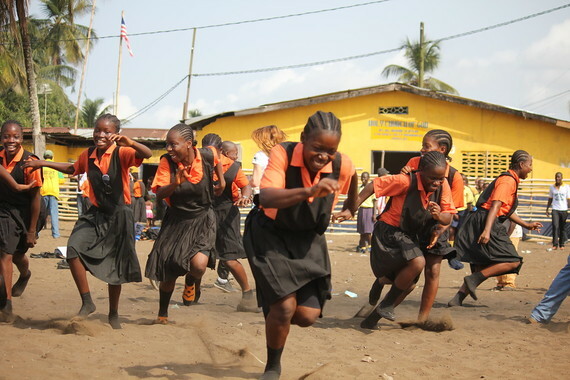 To date, CGI members have supported 11 million girls and women through empowerment initiatives--including a commitment from the Gap, Inc. which aims to empower 1 million girls and women in the garment industry worldwide with professional training and leadership skills to support their personal and career growth over the next five years. At this year's Annual Meeting, a coalition of partners--informed by the data presented in the No Ceilings Full Participation Report--will announce a new series of commitments that aim to address significant gender gaps and advance the gender equality targets of the United Nations Sustainable Development Goals. Over the next five years, the coalition's collective commitments will work to advance women's economic participation, address gender-based violence, and promote women's leadership around the world. When disaster strikes, the CGI community is positioned to act fast--it comes together to assess needs and assist with critical resources. Whether helping to rebuild New Orleans following the devastation of Hurricane Katrina, airlifting supplies to West Africa to fight the Ebola crisis in 2014, or contributing to long-term reconstruction efforts in the wake of the April 2015 Nepal earthquake, CGI members have worked collaboratively and efficiently to make a difference in critical times. Not only that, they also help to position communities to become more resilient in the face of future threats and disasters. 5. CGI members have advanced the approach of "doing well by doing good"
For the past 11 years, President Clinton has been a leading advocate for engaging the private sector to create positive change. This philosophy of "doing well by doing good" has been enthusiastically embraced by CGI members from the business community, whose commitments have transcended conventional Corporate Social Responsibility and have helped push modern philanthropy forward. By making social impact part of their core businesses, CGI commitment-makers like Barclays have connected the "unbanked" in developing nations with basic financial services for the first time, and several organizations--including AT&T and Google--have committed through CGI to implement LGBT-friendly workplace policies everywhere they operate. This forward-looking approach of "doing well by doing good" has also helped companies like Heineken, which was recently named to Fortune Magazine's "Change the World List," along with other members of the CGI community who create supply chains that are more sustainable, inclusive, and good for business. At this year's Annual Meeting, CGI will release a study of commitments made by multinational corporations like Heineken, nongovernmental organizations, and social enterprises aimed at empowering smallholder farmers to thrive in the global economy. President Clinton said in his book, Giving, "I want to continue these meetings for at least a decade, with the objective of creating a global network of citizen activists who reach across the divides of our interdependent world to build real communities of shared opportunities, shared responsibilities, and a genuine sense of belonging." CGI's global impact has been made possible by the visionary leadership of President Clinton and Chelsea, the hard work and expert knowledge of our staff, and the thousands of commitment-makers who year after year have worked across sectors and continents to help create a better world. Please visit http://www.clintonglobalinitiative.org/2016 for the latest program details and confirmed participants. Follow CGI on Twitter, Facebook, and Instagram for meeting news and highlights, and use the official meeting hashtag #CGI2016.